VICTOR MOROSCO (b.1936) is a unique concert saxophonist who has achieved an international reputation as a performer of classical and improvised music, an educator, clinician, and composer. He holds BS and MS Degrees from the Juilliard School of Music where he studied with Vincent Abato, Daniel Bonade, and Joseph Allard. Mr. Morosco won critical acclaim for his debut appearance as a soloist at Carnegie Recital Hall. His subsequent performances with the Contemporary Chamber Ensemble, directed by Arthur Weissberg, and as a soloist at Philharmonic and Town Hall in New York, The Library of Congress in Washington D.C, as well as the national television shows "Live from Studio 8H" and "Camera Three," brought national acclaim from musicians and critics. At that time, Mr. Morosco established himself as a premier saxophone virtuoso as well as one of the foremost exponents of contemporary music for the saxophone. Upon moving to Los Angeles, California in 1968, he was engaged in recording for major motion pictures, television and phonograph records, as well as continuing his career as a soloist, composer and a teacher. During this time he recorded both his solo album "Double Exposure" (Morsax Records) which includes his well known composition "Blue Caprice" (1981) and, as a member of the Los Angeles Saxophone Quartet, the complete "Art of the Fugue" of J.S. Bach for Protone Records in 1974. Mr. Morosco returned to New York City in 1986 where he performed regularly with the orchestras of the New York and Brooklyn Philharmonics, the New York City Ballet, Music for the Moderns, the Griffin Ensemble in Boston, Massachusetts, numerous chamber ensembles, and original productions of Broadway musical shows. 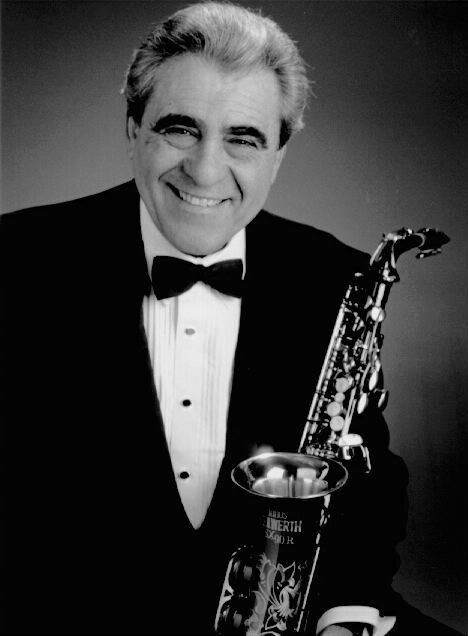 During this time his solo appearances included a recital of his own compositions at the Tenth World Saxophone Congress, a series of solo recitals and master classes in Italy, the World Premiere of Arlene Zallman's "Blues Delle Ciche" at the Wang Center in Boston, Massachusetts, and the Concerto for Saxophone by Paul Creston with the Riverside Symphony in New York. Mr. Morosco has been a member of the faculty of The City University of New York Graduate Center, Brooklyn and Lehman Colleges and at California State University, Los Angeles. In June 1996, he conducted clinics and workshops throughout Australia and performed a solo program, which included the world premiers of three of his new compositions for saxophone and piano at the Australasian Clarinet and Saxophone conference in Brisbane, Australia. In 1997 the "Morosco Saxophone Quartet" premiered his new saxophone quartets at California State University, Los Angeles that can be heard on the Morsax Records release, "Originations". In 1997 Mr. Morosco also composed and performed the World Premiere of his "Concerto for Alto Saxophone and Orchestra with the Queensland Philharmonic Orchestra, in Brisbane, Australia. Most recently Mr. Morosco has lectured and performed at the World Saxophone Congress XIII at the University of Minnesota, NASA Conference at UNC Greensboro and the International Saxophone Festival, in Faenza, Italy. Currently residing in Ocala, Florida and Strada in Casentino, Italy Mr. Morosco continues to work as a composer, soloist, and clinician.